No doubt you’ve noticed the drastic increase in live chat widgets on websites over the past few years. This has coincided with the rise of chatbots – a new spin on the live chat concept that capitalises on the rise of instant messaging apps and social media. The question is: does this technology really work or is it just another fad? Well, it turns out 69% of consumers prefer talking to chatbots for quick communication with brands, as opposed to calling them directly or sending an email. This makes sense when being put on hold or waiting for someone to read and reply to your email seems out of touch with today’s fast-paced world. It seems businesses understand the demand for bots, too According to research from Oracle, 80% of businesses plan to launch a chatbot of some kind by 2020. While separate research from Juniper predicts that chatbots are going to save businesses $8 billion in costs by 2020. The real beauty of chatbots and live chat widgets is they’re 100% automated. So, once you’ve set them up, the technology will keep bringing in the leads, no matter how much traffic you throw at them – and you don’t anyone at the helm to operate them either. Of course, it takes a little bit more than slapping widgets all over your website to get results. You need to have a strategy in place to pinpoint those moments where bots can be useful to the user and understand the kind of friction you might be adding in certain situations. To give you a better idea of how bots can generate valuable leads by enhancing the experience on your site, here are five strategies you can try out for yourself. The most common place you’ll see live chat widgets is on a company’s homepage – or possibly every site on their page by default. Typically, these trigger as soon as the page loads or after a short delay. The problem I normally find is they tend to pop up too quickly while I’m still seeing what the page has to offer. Elegant Themes has a longer delay on its chat widget than most and think this improves the overall experience. Personally, I would have an even longer delay for first-time visitors to give them a chance to take everything in. If they don’t click through to anything after a certain amount of time, this is the perfect moment to trigger the widget. With some platforms, you can also trigger them to pop up when a user looks like they’re about to leave your site. You’ve seen exit-intent popups and you’ve probably seen exit-intent web forms. Well, some bot platforms, such as Tido, allow you to setup exit-intent chat experiences that trigger when a user looks like they’re about to leave. Now, this could be when a user is about to leave your homepage or it could be when a potential customer is about to abandon a cart full of products. Tidio helps you reduce cart abandonment. Capturing a lead at this stage could make the difference between losing the sale forever and getting them back to place an order – now or in the near future. The internet never sleeps and people can engage with brands at anytime they want, anywhere in the world. Whether that next potential customer is in another time zone half way around the world or simply discovering your business out of hours, you need a channel that’s capable of capturing these leads. Chatbots work around the clock so you can engage with users 24/7. Flow XO is one of many chatbot builders that helps you easily add the technology to your website. 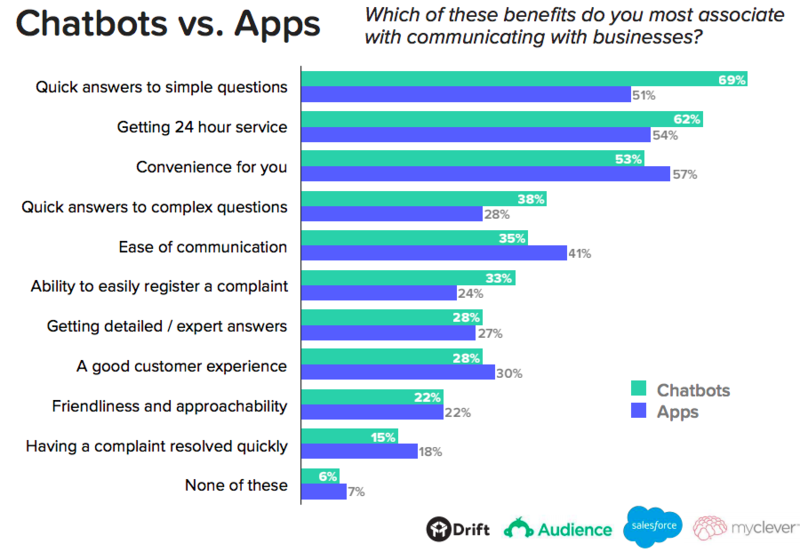 Going back to the Salesforce research we linked to in the intro of this article, users say the most important role of chatbots is providing basic information quickly. 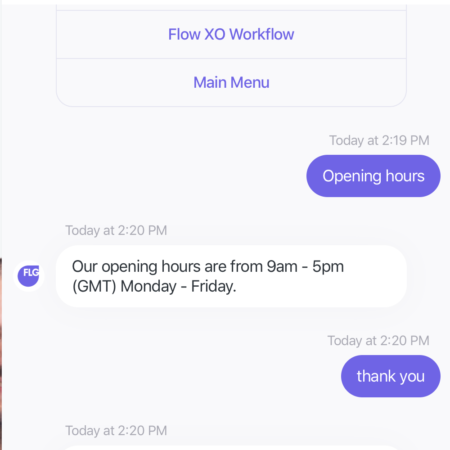 Things like opening hours, as illustrated in the screenshot from a Flow XO chatbot above. Wherever possible, you want to capture these users as leads so you can reach out to them again later. In most cases, this means asking users for their email address but there are other options – eg: embedding a Facebook Messenger bot on your website. We’ve spent a lot of time optimising web forms here at Venture Harbour in recent years – and with great success. In fact, one of our most successful ventures is Leadformly, a platform that helps you create and optimise high-converting forms for the best possible performance. We’ve tested our fair share of chatbots recently too and one strategy recommended by Tidio is using bots to capture leads who quit web forms. To do this, you’ll need to make sure your chatbot platform has this specific feature or allows you to create custom rules for when your bots trigger – ie: after a user starts filling out your form, then tries to quite the page before completing it. According to HubSpot’s State of Inbound 2018 report, 55% of marketers say blog content is their top inbound marketing priority. That’s a telling statistic when there are so many channels to manage these days. It shouldn’t come as a surprise, though, when blog content plays such a crucial role in organic search and social media marketing. The problem is, creating and publishing all of that content is only the beginning. You also need to make sure that content converts or generates leads but what are your users doing when they reach the end of your blog post (assuming they even make it that far)? Instead of letting those users leave your site, set your bot to trigger when users reach the end of your blog posts and push them towards converting. Are you using chatbots in 2019? 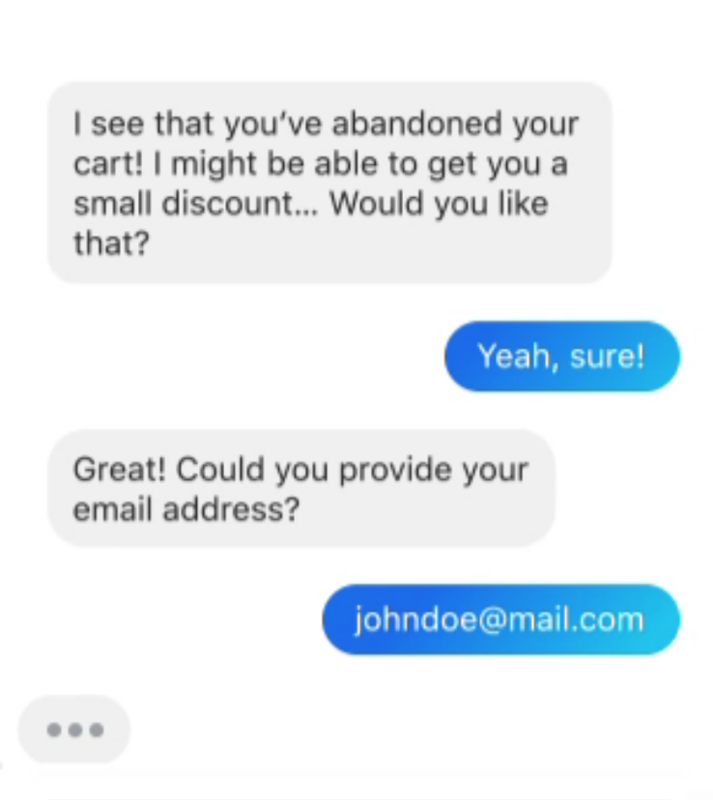 If you’re not yet using chatbots to generate leads and reduce negative actions like bounce rates, cart abandonments and form quits, then now is a good time to test them out. By focusing on these specific user actions, rather than simply triggering the same bot on every page of your site, you can actually enhance the user experience and provide the incentive people need to continue engaging with your brand.